This triple-decker berry smoothie is a triple threat. It packs a punch with three powerhouse berries: blueberries, raspberries and blackberries. We are exposed to free radicals every day. However, the high antioxidant content of berries can provide protection. In high amounts, these free radicals can result in oxidative stress, a process that plays a role in the development of several chronic diseases. Anthocyanins are the phytonutrients in berries that give them their beautiful blue, red and purple colors. Multiple studies have shown that anthocyanins can reduce hypertension and the risk of heart attack in women. They may also decrease inflammation and age-related diseases, like dementia and Alzheimer’s. The high fibre content of berries, along with a low glycemic load, makes them beneficial for balancing blood sugar and insulin levels which are important steps in managing PCOS. In addition, berries have been shown to lower LDL cholesterol levels. Evidence suggests up to 70% of women with PCOS may have elevated LDL and decreased HDL cholesterol levels. Increasing antioxidant intake may help decrease anxiety and depression which are associated with PCOS. Antioxidant intake can influence both female and male infertility. While research is limited, consuming high-antioxidant foods, like berries, may improve egg and sperm quality. In addition, anthocyanin has been shown to support the uterine lining increasing the chance of implantation. To benefit from these antioxidant properties of berries, it is important to buy organic berries. One study found that men who ate more produce with a high concentration of pesticides had lower sperm counts than those with the least pesticide intake. Blend the bottom layer first by combining blueberries, nut milk and protein powder. Limit the liquid for a thick layer that will support the following layers easily. Pour into a tall glass and pop into the freezer to firm up before adding the next layer. Clean blender and begin next layer by combing raspberries and nut milk. Pour this layer carefully over the first layer. You can use a spoon to dip into the raspberry layer in order to straighten out the line separating the two layers. Pop into freezer again. Clean blender and begin final layer by combining blackberries, nut milk and protein powder. Pour final layer carefully into your glass. Berries are great sources of antioxidants, flavonoids, resveratrol, ellagic acid, fibre and a low glycemic fruit. Hemp protein powder is a source of plant protein and essential amino acids omega-6 and omega-3 (in a 3:1 ratio). While animal proteins may increase insulin-like growth factor 1 (IGF-1), plant proteins have been shown to decrease IGF-1. In addition, the risk of infertility may be decreased when animal proteins are replaced with plant proteins. Dairy-free meals are important for PCOS for several reasons, especially if acne is a symptom. Dairy may increase insulin levels which contribute to increased cellular growth and acne. High insulin levels may also increase androgen production. Milk hormones like IGF-1 and dihydrotestosterone (DHT) both increase androgens. In addition, dairy contains casein which, when consumed with berries, can counteract the beneficial antioxidant effects of berries. Gorgeous! I would love to sit poolside with one of those babies right now! Loved all the Nutrion and benefit info about the ingredients as well, great post! I love smoothies, especially in the summer time! This got me excited for our upcoming trip to Hawaii! Many smoothies will be consumed then!! Great pics…super healthy recipe love it! This looks really tasty! I Will have to try this someday. Maybe this will get my hubby to drink smoothies. Ha! Ha! I make smoothies all the time but they are never beautiful like yours. How do you do that? WOW! Well that is a very pretty smoothie! Love the beachy feel! That is one of the prettiest smoothies that I have ever seen. I love the layers of color! This looks delicious! I’ll for sure be giving it a try. The Unicorn smoothie 🙂 love smoothies. Looks fabulous! I love berries in smoothies. So cool how you layered it. It never occurred to me to try stacking smoothie flavors. So fun! I love this! That looks so good. The colors are stunning. I love the color combination! That is such a great idea and I’m gonna try it this weekend with my nieces, thanks! What a gorgeous smoothie! I feel like it needs a little mermaid hanging on the edge of the glass – it’s so beachy! Gorgeous shot! 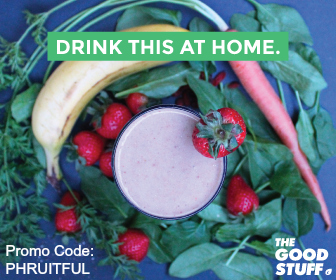 It is fabulous how you make accessible to us all that nutritional information in an easy to read format, kind of like your nutritionally packed smoothie that goes so down so easy.. These colors are fantastic! I love simple smoothies like this – I’m a big berry fan and love clean protein powders! Will have to check out these hemp ones as Ergogenics Nutrition is new to me! Looks amazing and healthy! Very nicely done! Not only does this smoothie prove that it’s super healthy, it even looks aesthetically pleasing. Usually good looking food helps in improving the appetite of people and this is one of those. 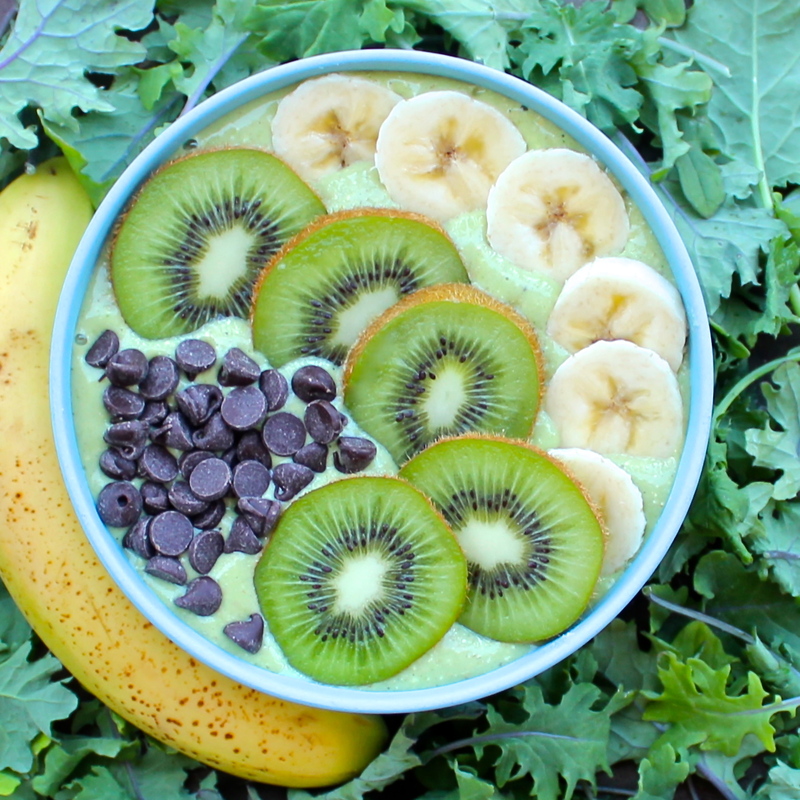 What a great idea to make such a pretty smoothie presentation!